It was that kind of stuff. Rubio showed up because, A, CNN invited him. It’s Florida and it was the kids, it was the students, and he thought he was doing what was required of a U.S. senator. But, man, he has come out and has been on fire ever since this thing. Now, yesterday, Rubio tweeted his thoughts on the current gun control debate. And as the parlance on Twitter goes, he was “ratioed,” meaning that he received more replies than likes or retweets. Did you know that was being “ratioed” meant on Twitter? So you tweet something out there, and if you have more people replying to you than either saying they like or retweet you, then you’ve been “ratioed.” It’s a good thing. What did he say that got this reaction? This is what he tweeted. “The debate after #Parkland reminds us We The People don’t really like each other very much. We smear those who refuse to agree with us. “We claim a Judea-Christian heritage but celebrate arrogance & boasting. & worst of all we have infected the next generation with the same disease.” You know, Rubio got raked over the coals on national TV by the kids, by the survivors when Rubio had nothing to do with it, and the NRA had nothing to do with it, and one of them them — as I say — suggested Rubio was just like the shooter. And there was no pushback from Jake Tapper. And there was no pooh-poohing from the audience. So we “reach across the aisle” and try to make peace and it only makes it worse. Folks, this is why I say these people have to be defeated. When I say that, I’m talking about politically in elections and every other contest which pits us versus them in the political arena. They need to be defeated, not accommodated, not compromised with. This is what alarms me. If anything alarms me about Trump, it’s that. Trump instinctively knew during the campaign… By the way, he’s still an outsider. I think one of the ways that you have to continue to try to “understand,” quote-unquote, or analyze Trump is that here he is in these meetings with all of these insiders, all of these establishment types, both parties. There is a way those meetings happen, and Trump doesn’t even do that. He televises them. He lets the media stay. He doesn’t kick ’em out after five minutes. There isn’t the usual, from Trump, acknowledgment of the way these things happen. He just runs the meeting as the outsider that he is. So when he says something, “Hey, look, you know what? In these extreme cases let’s go get the gun and do due process second.” How many times — and maybe it hasn’t happened to you, but let me ask you to reflect. In your own circle of acquaintances and friends, at any time there is a dramatic that causes a huge national debate in the aftermath such as the shooting at the high school, how many of you in this aftermath…? How many of you know people who’ve said, “They just should have gone in and gotten the gun from the guy”? “They should have just shut the guy down. They had 66 times. They should have gone in there! Everybody knew enough to know that this guy was a pending threat. Go get his gun,” and how many said, “Yeah! Yeah! Why not? This is a common sense thing to do.” Well, that’s who Trump is. Trump is one of these guys, like us, who is not from the traditional, insider, establishment background. And he shoots from the hip. In most instances, his shooting from the hip is a bull’s-eye in terms of connecting with the population at large and with people who are not in the ruling class. But when it happens on immigration or something as fundamental as the Constitution, the Second Amendment, gun control? Well, then people are gonna stand up and take notice. And this is where we wish Trump would revert back to realizing he shouldn’t be making deals with Dianne Feinstein. Dianne Feinstein does not like him. Dianne Feinstein does not want to help him. Dianne Feinstein doesn’t want to do anything that’s gonna help Trump. Dianne Feinstein is like every other… She’s not moderate. She’s not centrist. She is an uber-radical leftist like they all are, and she’s part of the crowd that has as their dream the confiscation of every gun in this country. It doesn’t matter that it’s impossible. It doesn’t matter that it’ll never happen. That’s what they’re aiming for. That’s where they will… They will never give up, in other words. That is always going to be their dream. That’s always gonna be their objective. You can’t compromise with that. You can’t meet somebody like that halfway. There’s no overlap. There’s nothing in common. So to try to strike a deal of compromise or understanding with Dianne Feinstein is not what’s called for here. Dianne Feinstein and her side need to be politically defeated. I would prefer political annihilation. I would like these people to be continually defeated so they have to work so hard at coming back that it’s gonna take ’em years and years and years. I think a lot of people that voted for Trump thought that’s what he instinctively was going to do. So when there are signs like there were yesterday that maybe he doesn’t see it this way on this particular issue, then some people get a little nervous. But by the same token, we’ve had two calls today. And we haven’t taken a lot. We had two calls today from people who have no problem with what Trump did. They have no problem with what Trump said, and they support it, using the Nikolas Cruz case as an example. And what they’re essentially saying is, look, this guy was widely known. All of these attempts, all of these known tips and signs, 66 of them, that’s ample evidence, enough to go in and either stop the guy, take his guns, commit him, do something in the name of common sense. And other people said, “No, no, no. You gotta respect the due process, because if you sacrifice, if you blow due process one time, you have given the denizens of Washington the precedent to keep doing it.” And I subscribe to that as well. I want to share with you a speech from Rubio because Rubio really hit another bull’s-eye today. He was on the Senate floor proposing changes to the PROMISE Program. 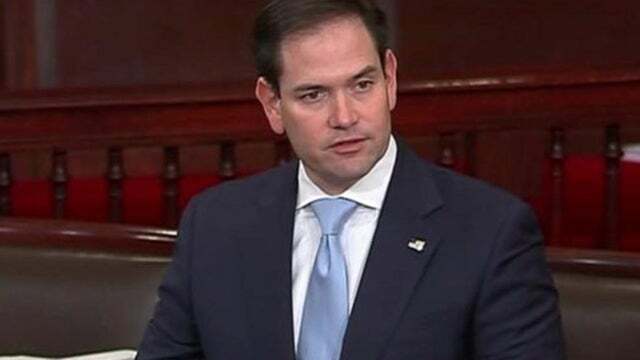 RUBIO: I intend to propose changes to the federal youth PROMISE Program so that a school district plan under this program does not delay and does not discourage law enforcement from being alerted to dangerous and violent or hazardous behavior. This deranged killer was able to buy guns on 10 separate occasions because he would have passed every — any background check because none of the stuff that was known about him was reported to that system. 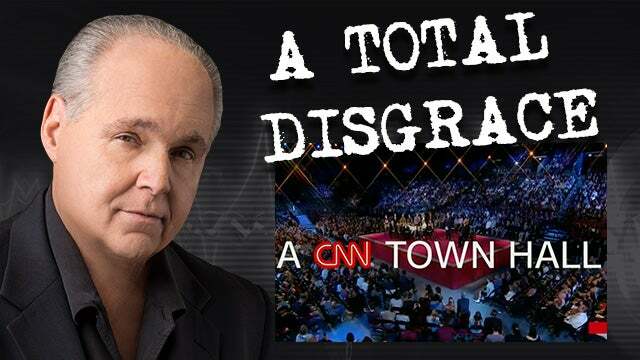 RUSH: That is so crucial to keep in mind. If anybody wants to point the finger of blame somewhere, it’s right here, at the PROMISE Program. And I do not say that lightly. I say it with all sincerity. This is an Obama administration plan that was administered by Eric Holder. It’s kind of along the lines of Fast and Furious, in a way. The objective here was to reduce the reporting by way of not arresting criminal acts, criminal behavior on the part of minorities. Obama and the Democrat Party thought that the prison population, percentage of African-Americans and minorities, was inordinately high. It wasn’t real. It wasn’t because they’re committing more crime. It was because the country’s racist and bigoted and they were being imprisoned even though they hadn’t done anything wrong. 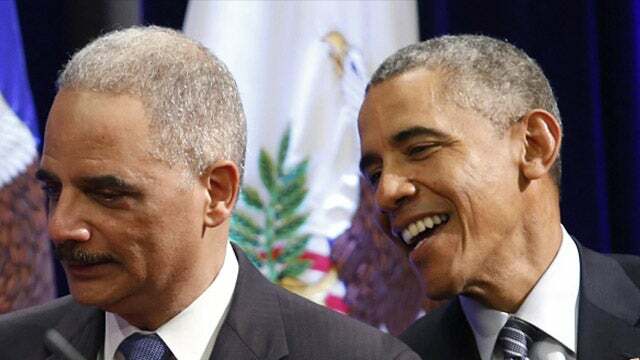 And so the Obama administration, to change all that, to prevent these people from being arrested, to prevent them being in the system, were promising money, they were awarding money, school districts and police departments, for looking the other way. And it was significant amounts of money. And it’s called the PROMISE Program. And that was its express purpose. And so that’s how Nikolas Cruz was able to pass background checks. None of the crimes he had committed were reported. Now, you might be saying, “Well, wait a minute, Rush. The guy wasn’t African-American. He wasn’t a minority.” I know. They couldn’t just say give African-Americans and minorities a pass. That would have been seen immediately. So basically it was a blanket proposition to look at the other way on certain types of criminal behavior and crimes. And they were things that were more than just misdemeanors. It was to jigger the stats. It was to make it look like there was less crime being committed by African-Americans and minorities and what have you and paying police departments to leave them alone and ignore them! So Cruz doesn’t end up in the background system! He passes a background check 10 times because he was not arrested and his history was not there to even be checked. And that’s what Rubio says needs to be changed. He is exactly right. RUSH: Dale in Vero Beach, Florida. Hello, sir! Great to have you with us. How are you doing? CALLER: Thank you, Rush. I just wanted to comment on the school shooting. I’ve been trying to get to you for the last week or two. CALLER: If you saw my background, I’m a retired sheriff’s deputy for 30-plus years, plus I ran the school system security resource officer program for 10 years. CALLER: I also was the head of a large courthouse implementing, building a new course for it. Anyway, what I don’t hear is anything from the teachers, the guidance counselor, and the principal. Everybody’s keeping quiet. In our situation, everybody knew everybody and everything. Cruz would have never gotten that far if they would have kept everybody aware of what he was doing (crosstalk). RUSH: See, that exactly points up another problem. That’s a great point. We will continue that tomorrow. RUSH: No, seriously, our last caller from Vero Beach had a great point: No communication within the school about some of these people for a whole host of reasons, and that’s worthy of exploration.